The White House has drafted a new rule that would authorize the federal government to monitor, hack or destroy an unmanned aircraft system and its payload without consent to assess whether they pose security and safety threats to a government covered facility or operation, Recode reported Wednesday. 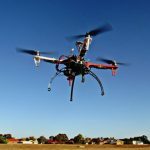 “No court shall have jurisdiction to hear any cause or claim” that would emerge from any of the authorized measures to track or confiscate a drone, according to a copy of the proposed rule. The draft policy would also call for federal agencies to “respect privacy, civil rights and civil liberties” in connection to the acquisition or interception of UAS and its communications. Sources said the Trump administration circulated the draft regulation among congressional personnel, the report added. The White House proposal came days after an appeals court overturned a Federal Aviation Administration requirement for UAS hobbyists to register their model drones with the government.